Korea Fact No.14: Korea, worlds second hard working nation. The more red or orange a country is, the harder it works. 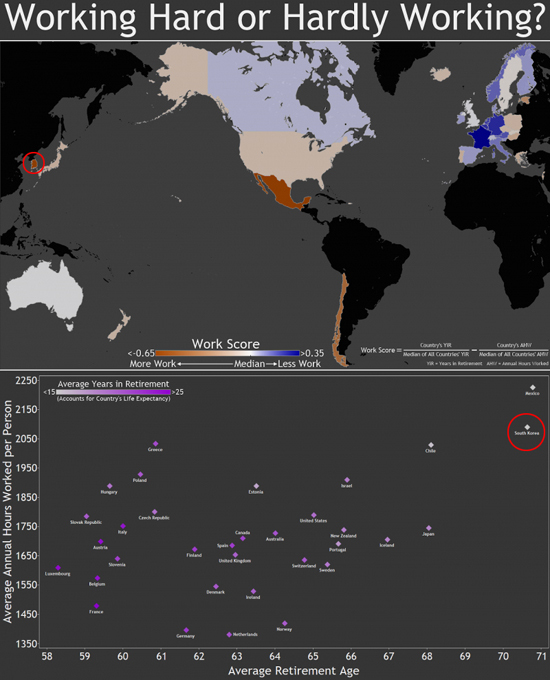 So, countries like South Korea and Mexico get the work-ethic prize.